Right, before we get into this, we have to make clear that the video below, which includes the glitch mentioned in the article’s headline, contains huge spoilers for Red Dead Redemption 2. If you haven’t finished Red Dead Redemption 2 yet and you don’t want to be spoiled, please, for the love of god, get outta here and go play it. No, seriously this is it. Scroll beyond here and it ain’t our problem. YouTube user Elemeno Peah supposedly encountered a voice glitch during Red Dead 2’s postgame content. 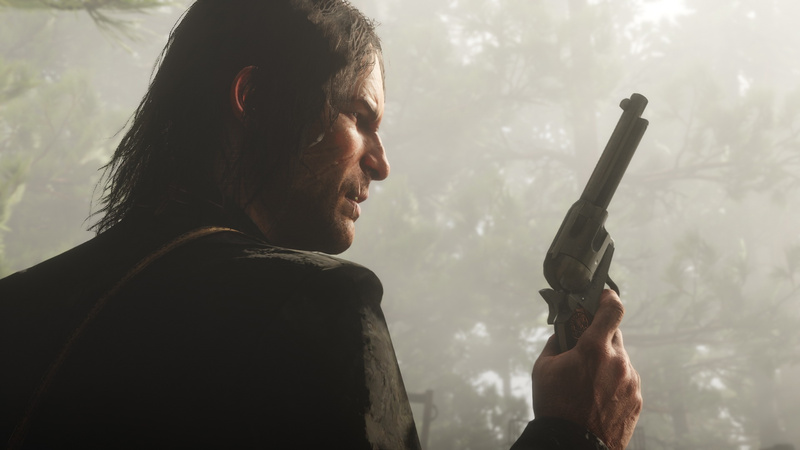 After the game’s first set of credits roll, you play as original Red Dead Redemption lead character John Marston, except in the video, John talks with what sounds like Jack Marston’s voice. Now obviously Jack’s just a kid in Red Dead Redemption 2, but in the original Red Dead Redemption, a teenage Jack became the main character after the credits rolled. And in this clip, the glitched voice sounds a lot like Jack’s teenage voice. Before we delve deeper, there’s a chance that this could just be some totally unrelated, super rare bug that pulls up scrapped or placeholder dialogue from some other point in the game. Heck, it could even be a very elaborate ruse, but if it is, then it’s a damn good one. What lends some weight to this actually being Jack’s voice is that the whole of Red Dead Redemption’s map is in Red Dead Redemption 2, and you can visit all of it, barring Mexico, in the postgame where you play as John. The thing is, these areas are relatively barren in comparison to the main locations of Red Dead Redemption 2 — they don’t have much in them aside from a string of bounty hunter missions and a few random events. This fact has already lead to a lot of speculation over whether Rockstar intends to recreate the original Red Dead Redemption using the much upgraded Red Dead Redemption 2 engine. Possibly releasing it as some kind of expansion. That seems like a bit of a tall order, but you never quite know with Rockstar, and this voice glitch could be an indication of what’s to come. Honestly, we’re hoping that it is. What do you make of this? Feel free to let speculation run wild in the comments section below.